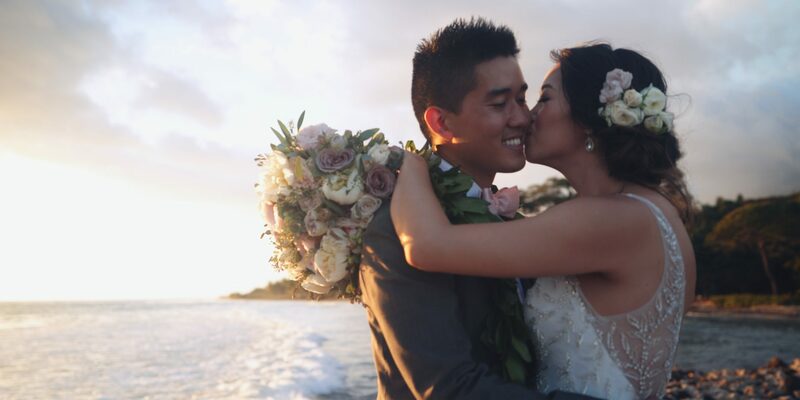 I met Konnie and Jesse at the shops at Wailea more than a year before their wedding date. What we usually do over Skype or FaceTime with couples, the three of us were able to do in person over coffee: talk story and get to know one another. The way this couple met is not something I encounter much anymore in this day and age of internet and dating apps. Without giving too much away, let’s just say that Konnie knows what she wants and doesn’t mess around. They were only sixteen and destiny written in the stars. 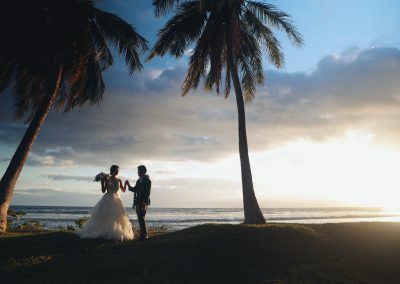 Review from the Knot posted on January 20th, 2019.
tldr: If you’re considering Stephan to be your wedding videographer, look no further! 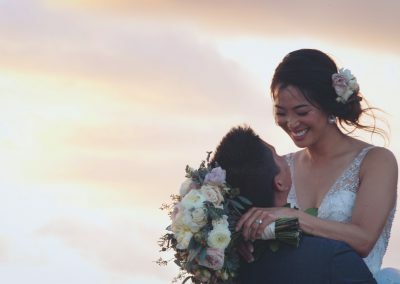 We looked through too many other videographers to count and could not be happier choosing Stephan and his team 🙂 We decided to go with Stephan Boker after pouring through tons of online reviews and research. 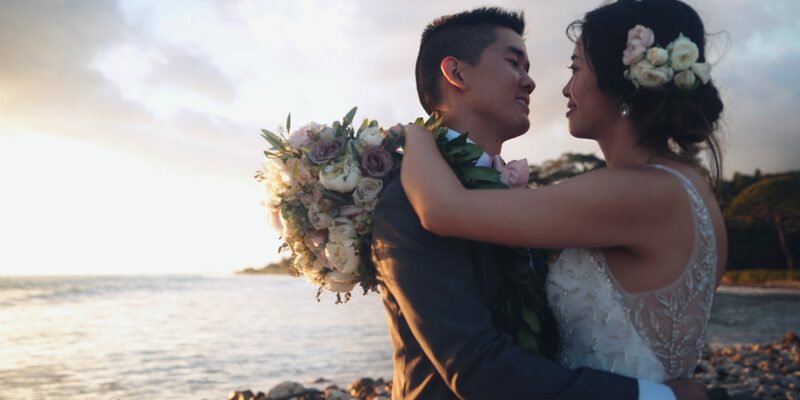 One reason we decided to go with Stephan was that other highly reviewed videographers we considered took on many clients (evident from the number of videos posted on their channels) and we felt that due to the sheer number of clients, the craft was not there. 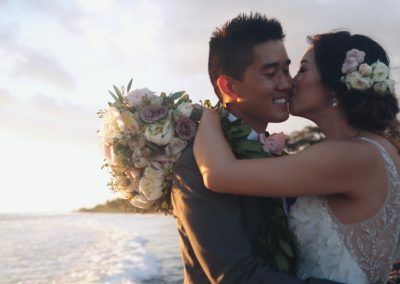 Generally, those videos felt more like a music video montage of happy people at a wedding. 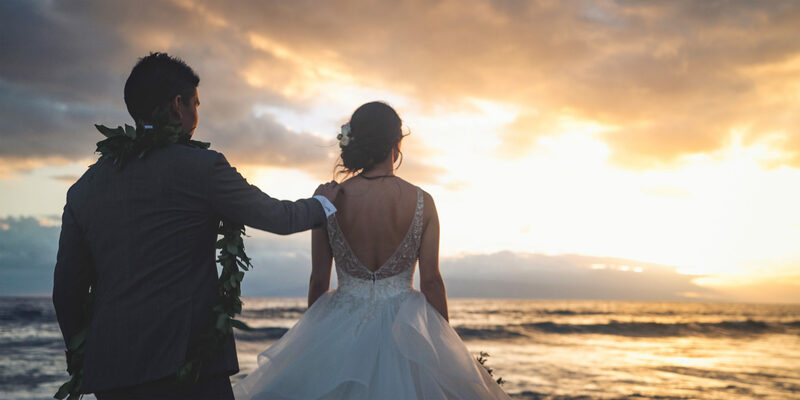 When watching all the various wedding videos online from various Maui wedding videographers, it became obvious that other vendors follows a cookie-cutter template for the videos they make and it didn’t feel as personalized to the couple. Stephan, on the other hand, took the time to sit down with us to hear our story about how we met, intimately learned our background and what we wanted most out of our video. 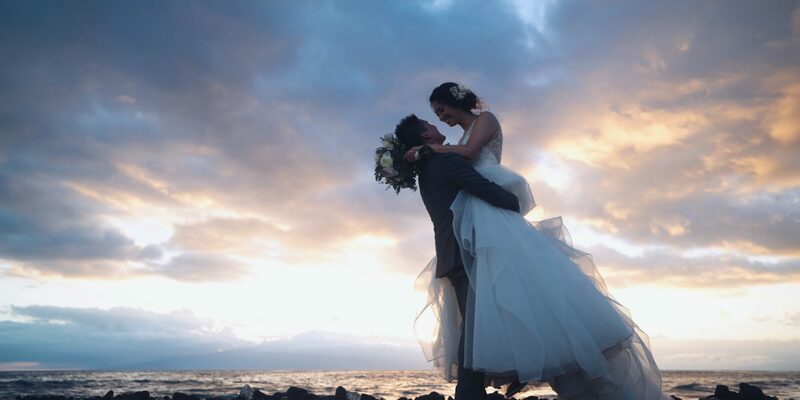 We were in touch for more than a year before our wedding. Stephan was pleasant to work with — he even sent us helpful tips on how to write our letters and vows to tell our unique story. 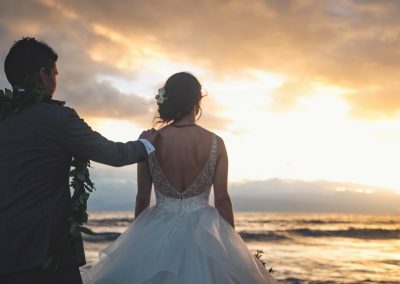 If it isn’t clear from the other reviews and his website, his attention to detail and focus on the story of the couple in the video creates a timeless video that will stand the test of time, technology and trends. We got the 6 hour package, added on raw footage and 4K video quality. We ended up adding another hour day of the wedding for a total of 7 hours. 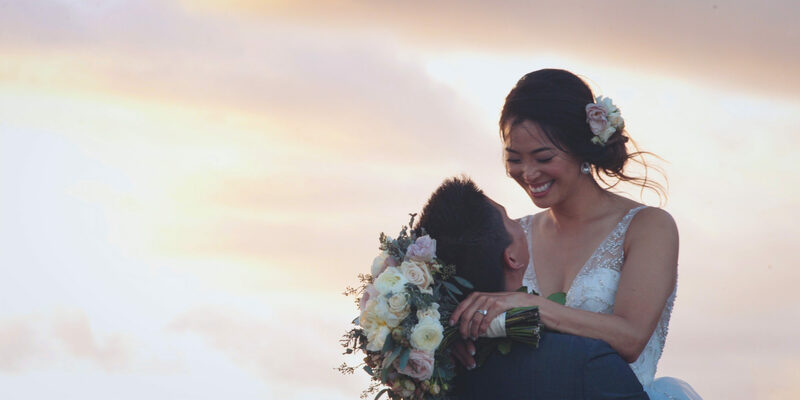 Our Instacut was purely magical and the feature film was beautifully edited to help us relive the day over and over. 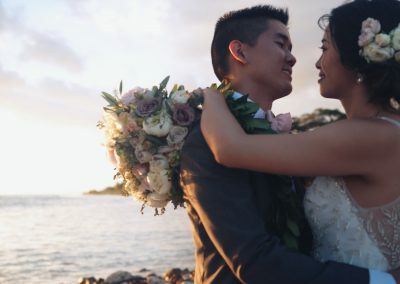 I look forward to watching them every anniversary for years to come 🙂 We are so glad that Stephan Boeker was our videographer and can’t recommend him enough!